I've got some inspiring links to share with you today that have caught my eye, touched my heart and kept me going with my simplifying practice. 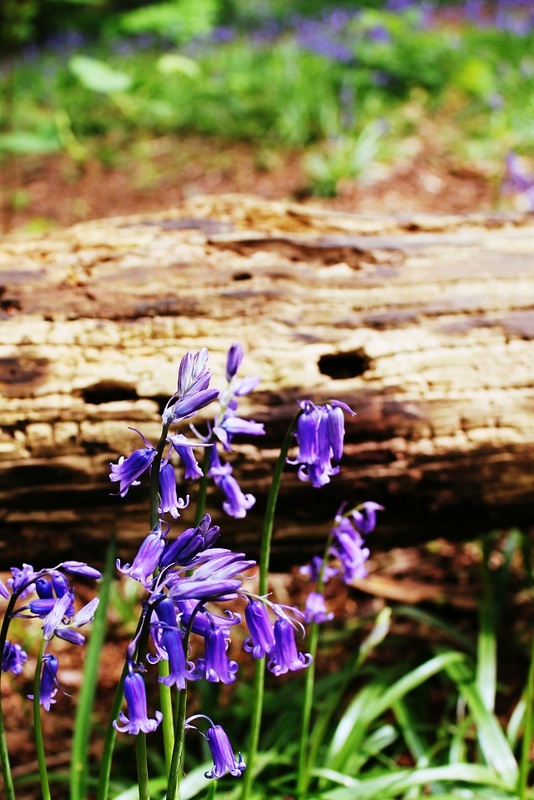 These bluebells are from our local woods. We only started walking through these woods when we moved to our current home 3 years ago yet it's just minutes from the house my dad grew up in (he was brought up by his paternal grandparents). It's so lovely to have this connection with him. The clean, vintage and minimal home of Audrey Bodisco via Wild Poppy. I love the simple kitchen. Magic of Tidying Up? From An Exacting Life. Dar's thoughts on Marie Kondo are a great read and just hearing Kondo's name makes me want to jump up and go tidy my sock drawer. Yes the KonMari way... I'm learning the method slowly. How to Let Go of Attachments and Find More Ease by Always Well Within. Good advice on how to form non-attachment to material possessions, emotions and even our bodies. Leo's post Feeling Determined to Change was timely as I began The Welcome to Now Project this week. 6 ideas to create an environment for change. The Time In Between Silver Gilt medal winning garden for this year's RHS Chelsea Flower Show has stolen my heart. Australian designer Charlie Albone lost his father as a child and has designed this garden as a place to meet his father now he is a man, husband and father of two. The symbolism of the different elements of the garden are powerful with a water feature evoking the suddenness of death, a wide path for father, son and grandchildren to walk along and a fire pit representing his wife as the centre of his life. These global plants and colours would work well in my garden. I hope you enjoy these links as much as I have. Thanks for the link, Claire. I love your bluebells!